SDI APPOINTED POSTMEDIA’S NATIONAL DESIGNER. POSTMEDIA IS RIDING THE WAVE OF MEDIA TRANSFORMATION AND USED THEIR RELOCATION AS AN OPPORTUNITY TO REIMAGINE THEIR WORKSPACE. WE TOOK THE ASSIGNMENT & THEY WERE DELIGHTED WITH THE CONTENT WE CREATED. Postmedia’s head office relocation project was considered highly strategic, “it was really about moving the business in a new direction and changing the culture from the old, traditional print to the new media & digital world.” The design team was asked to create a program that would eliminate the silos within departments and encourage collaboration & integration. The design was modeled after a busy train station or an airport, with direct pathways created for specific functions yet allowing “accidental” encounters. The 11th floor was designated as the company’s town hall, with multifunction purpose in mind: there is a reading area, dual seating, harvest table settings, semi-private meeting space and a play area. 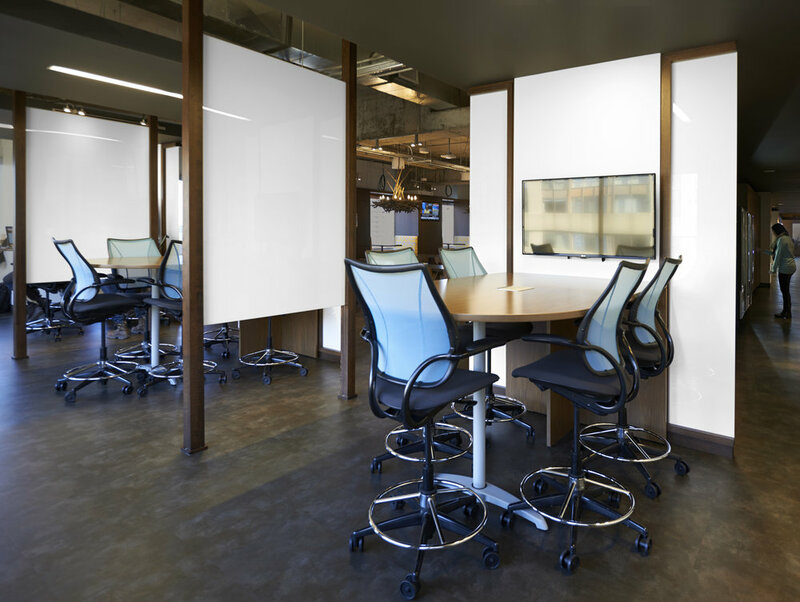 The space allows for daily use for lunch time but can also serve as an event space with cameras in place so that content can be streamed directly to various Postmedia offices throughout Canada. 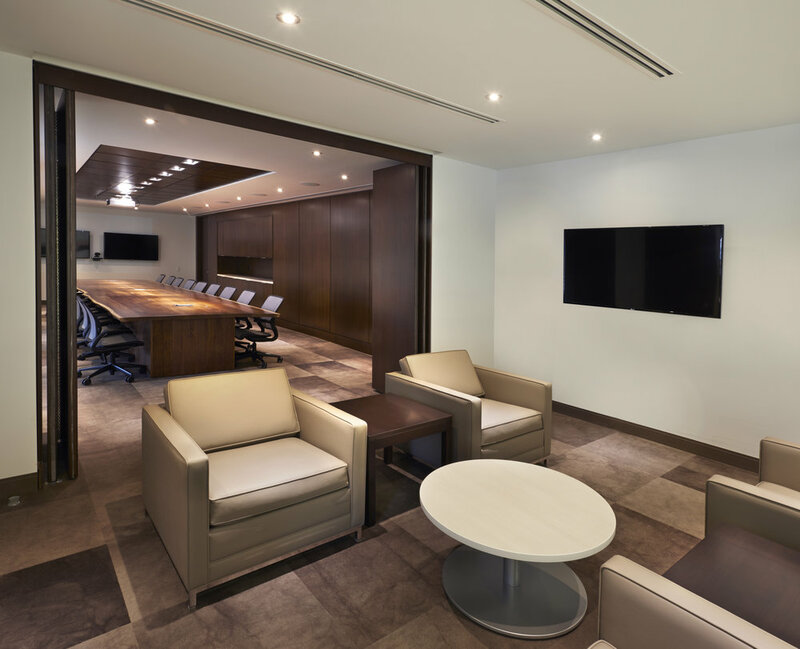 After the completion of this project, SDI was appointed to be Postmedia’s Corporate Interior Designer throughout Canada. Since then, our design team has worked on projects for Postmedia in Calgary, Edmonton, and Kingston and London in Ontario. Our team was also invited to collaborate with Sid Lee Design to create the Postmedia News Café concept. The first café was constructed in 2016 at the ground floor of 365 Bloor Street East.